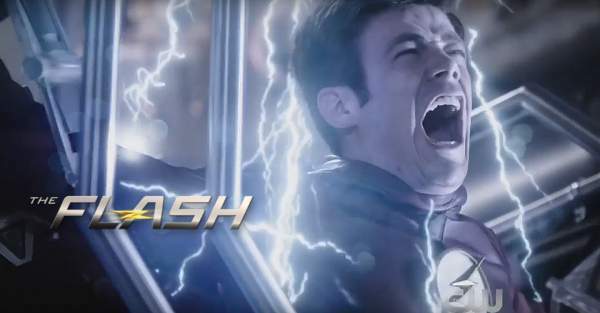 The Flash Season 2 Episode 20 Spoilers, Trailer, Air Date, Promo 2×20 Synopsis, news and updates: The Scarlett speedster’s second season is now faring in its final episodes. It will be next seen on May 3 titled as ‘Rupture.’ As you now, Barry lost his speed and saved Wally West and though he rescued Dr. Harrison Wells of Earth 2, he isn’t feeling the same as he used to be. In episode 19, Wells suggested him to get back Barry his speed by creating another particle accelerator. Well, it will be interesting to watch the reactions of all the other team members. However, Flash needs to get back with his powers as some villains are going to attack once again. Barry will go and talk to his father Henry Allen and then have a conversation with Joe West. Henry will remind all of them the consequences of Barry hitting by the explosion. In the teaser trailer, he said that he went in the coma for nearly nine months. On the contrary, Barry’s adoptive father Joe thinks in another direction because he is aware of the danger currently present due to Zoom and other metahumans. Henry has been an irregular guy in the team Flash. He seems to have concern only for his son. Joe thinks that getting Barry his powers back is the only way to save their world and other worlds. In the meantime, Cisco will have a major revelation. Using his new vibing powers, Cisco will get to know that a metahuman similar to him has arrived at his earth from the earth 2 to take revenge. This villain is named Rupture and is the brother of Earth 2’s Reverb, the doppelganger of Cisco. Cisco will get a shock to know that Rupture is the doppelganger of his brother Dante and looks like him. He will be joining the DC Comics supervillain. Rupture may have come to Earth 1 because it may be possible that Zoom tricked him to take revenge from Cisco, Barry, and the team. Though he knows that he should be upset with Zoom, the episode will let us know how Hunter Zoloman tricked him against the team Flash. The Flash airs on Tuesdays at 8 pm ET on the CW. Stay tuned for latest news. Next articleEmpire Season 2 Episode 16 (S2E16) Promo and Spoilers: What’s Next For Andre and Lucious?